Home » Tax Forms | Blog » When Can I Claim Exempt on My W-4? Tread carefully before claiming exempt on your W-4 form. Your W-4 is filed with your employer. Based on a number of allowances and exemptions you claim, your employer will withhold a certain amount of your income from each paycheck to cover taxes owed to the IRS. If you claim EXEMPT on your W-4, it means that no taxes will be taken out of your paycheck throughout the year to cover what you may owe to the IRS. Claiming exempt does not apply to everyone. Let’s find out why. Am I eligible to claim exempt on my W-4? For the prior year, you had a right to a refund of all federal income tax withheld because you had no tax liability. If one or both of these are false, then you will not be eligible to claim exempt on your W-4. If your income is $950 or more and at least $300 of that is from un-work-related income (ie: interest or dividend income), then you cannot claim exempt from taxes. If you plan to claim dependents on your tax return, then you cannot claim exempt from taxes. If you will be itemizing your deductions on your tax return for the year, then you cannot claim exempt from taxes. If you are Age 65+ or blind, you must use IRS Worksheet 1-3 or 1-4 to determine if you can claim exempt. I’m EXEMPT for tax purposes. How do I report that? After doing some research and realizing that you are, in fact, eligible to claim EXEMPT on your W-4, you’ll need to report that. On your W-4, leave box 5 blank. If you have an amount in Box 5, that takes precedence over Box 7. Box 7 is where you will simply write the word “EXEMPT”. This will ensure that no withholdings are taken from your paychecks. What if I claim exempt on my W-4 without being eligible? You can say hello to a pretty hefty tax bill after filing your tax return along with possible penalties. You are essentially the one responsible for what you report on your W-4. If it is incorrect, the IRS won’t let that slide come time to file your taxes. You’ll be issued a tax due amount with further instructions on how much you owe and payment options. You make statements or claim withholding allowances on your W-4 that reduce the amount of tax withheld from your paychecks. You have no reasonable basis for those statements or allowances at the time that you complete your W-4. Although penalties from the IRS seem intimidating and sometimes just down-right unfair, they shouldn’t scare you out of claiming something you are eligible for. If you make an honest mistake, you won’t be penalized. It happens. These penalties and strict guidelines are instated in order to keep some sort of order in an organization which is literally trying to cater to the entire nation. Is there automatic exemption for students? Although students are loved in the retail and food industries with free fountain sodas at Chipotle and a 15% discount at Kate Spade, the IRS (unfortunately) doesn’t offer the same. Students are advised by the IRS to follow the same guidelines as other taxpayers. Not to worry, though, students! There is a bright side after all. You may not be automatically exempt from income taxes but you are exempt from FICA (aka social security and Medicare) as long as you are enrolled as at least a half-time student. It’s easy to fall into the IRS trap filled with tax jargon and W-4 confusion. For many of us, taxes are a thought in our minds only once a year. That’s why we’re here to help you. 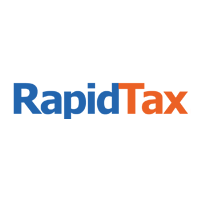 If you have a tax question and need help preparing your tax return for the year, reach out to our tax experts here at Rapidtax via livechat, email or phone. Can I claim exempt when working an overseas contract in the Middle East? I do not qualify for FEIE, and will not be in country 330 days. But of the time I work, can I be exempt? This is my first job and I earn 18.5 dollars an hour. On wednesdays and fridays I work 3 hours so per day I get approximately $55.5. I’ll only be working there till june 2019. My now deceased father worked the city. I am the designated beneficiary to receive his reminding pension in monthly sums of approximately $1,500 until 2024. My question is how to populate the W-4P form. Is is problematic or wise to check “do not want any federal income tax withheld form pension or annuity”? I mistakenly filed Exempt in 2018 and did not have Fed Tax Withheld. Stupid mistake. I see a $500 fine which I deserve for being so stupid. Is there possibility of other penalties? Haven’ spoke to tax advisor yet.